Phil Tossell, lead programmer for StarFox Adventures, says the company "loved working closely with Nintendo." You may remember Rare Ltd as the developer behind the NES classic Battletoads. No? Well, maybe a game by the name of Donkey Kong Country will ring a bell. If not there's always Killer Instinct, GoldenEye 007, Banjo-Kazooie, Perfect Dark, Conker's Bad Fur Day and Jet Force Gemini. If you owned a Nintendo console during the 1990s, you've probably played a game made by Rare. The high volume of Nintendo titles can probably be attributed to Nintendo owning a majority stake in the company until 2002 when Microsoft swooped in and purchased Nintendo's shares for a whopping $375 milllion. The purchase may have arguably been less than fortuitous for both parties. 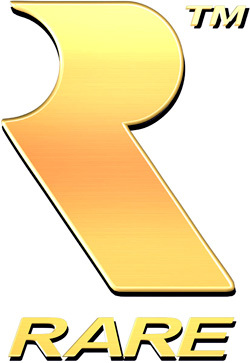 While Rare would create some decently regarded titles for Xbox platforms, its sales were not what Microsoft had hoped for, leading to a reorganization of the studio in 2009. If Microsoft has any disappointments with its purchase of Rare, there are some hailing from the studio that share the sentiment. "We loved working closely with Nintendo," said Phil Tossell, a former Rare employee and lead programmer for Starfox Adventures. "Rare was also a close knit family and so it was something of a shock to suddenly become part of such a huge organization as Microsoft. There was a severe culture clash which perhaps didn't become apparent at first as Microsoft mostly allowed us to continue as we had always done. However as time passed and there were staff changes at [Microsoft Game Studios], together with [Rare's co-founders] leaving, the culture changed and it began to feel more Microsoft and less Rare. While Rare continues to put out high quality games, for me it lost some of the spark that had made the company special." Despite these feelings Tossell is excited to see where the future takes Rare. "I'm excited to see what they do next. Whatever Rare does it will always hold a special place for me." Millions of gamers, growing up with games developed by Rare Ltd, can probably relate.